The first step to knowing if the monster is truly evil for the evil or is there a reason behind what it does is asking whether we are born evil. Are we born evil and simply learn to be good or the other way around? Human nature does not necessarily need to be born one or the other. People can be born without already having been good or evil chosen for them. When a child is born, they are clean and still do not understand the concept of evil and good but what they are exposed to as children can have an effect of how they come out when they are older. Most of the time when someone turn evil when they are older is as a survival method for them. Anyone who threatened their happiness or comfort they would bully and hurt. Of course, there are people who are raised in a good manner and they did not go through anything traumatic to trigger their behavior. They are the ones who have a mental instability and it brings them joy to hurt other. For the Grinch he had many different factors that payed out to cause him to ruin the happiest time for the people. The Grinch hated all the people that he would come in contact with only because as a child he never felt accepted by them, so he figured that it would save him heartache to simply cut everyone out of his life and live alone. Also, as a child he seemed to have some mental health problems that only made him worst when he got older. There are three main reason why the Grinch became the evil creator living alone and the main one that threw him over the edge happened to be related to Christmas which is why he became such a hater to that holiday. To start off his story, the Grinch did not have a family of his own. He was found outside two ladies house one night with nothing on him but simple clothing. He never knew who he belonged to and grew up with random ladies. His looks differed from the people that lived in that village and that made him a target for bullying by both children and adults. The two ladies that took him in were very kind, but he was always being reminded that he was different in both looks and actions. Being a different color than the rest of the people living in Whoville meant he was a target to all the negativity. His classmates were very rude to him and always judged him for being different from them. This mean that he had no friends to be happy with because no one likes the weird green kid. Just like any other school, the kids in Whoville cared a lot about having beautiful things and being popular. To the Grinch those things do not matter to him. He was a very sweet and quite child who always kept to himself, but the other kids would bother and bully him constantly. The way that he was being treated by the kids and sometimes adults are all factors of why he became antisocial and hating the holidays. As a survival he decided to become heartless and live alone. Of course, being a way from everyone and living in the shadows and dark has a psychological effect on someone if those conditions are lived in for a long period of time. Another major factor that lead the Grinch to becoming a monster when he was older is how his mind worked. Many psychologists have tried to analyze his behavior and what has made him become the monster that everyone knows. To start his psychological analysis, we must go back to when he first came to Whoville because that is the youngest age, we get him at. He landed in a couple’s tree. He had no family and no history just some plain cloths and his crib. Although The couple that took him in were very sweet and they did not show any disrespect or neglect to him for being different from them, he still looked and acted in a different way which he noticed they would not like. He was also never outgoing and wanted to hang out with the other children, mostly because they would bully him, but he was also very antisocial. People often assume that being antisocial is not a serious issue, but it can really affect how someone does when they are older. “The biggest signs of antisocial personality disorder are a persuasive disregard for right and wrong, and for society’s norms.” (Lack). The Grinch shows major disregard for the social norms of all the Whos. He would like to play with different toys as a kid then all the other children and his eating habits always confused the couple that took him. He was also very angry most of the time which is another sign of him being antisocial. Some Psychologist have diagnosed his with other mental issues such as depression due to how he liked to ruin everyone’s days and sit alone in the dark sulking. There are many forms of depression such as always being sad or distant from everyone, but the Grinch was not always sad. In fact, he enjoyed living alone and plotting how to ruin the holidays for everyone. “Sometimes people who are depressed might get really irritable, and really grumpy and they can really withdraw socially.” (CBC). 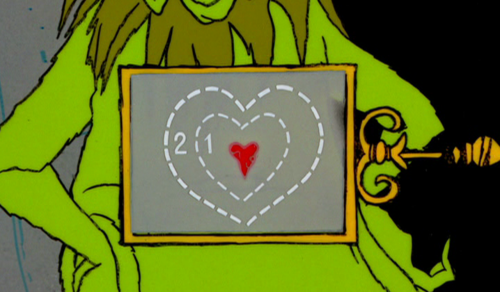 The Grinch showed many signs of this form of depression. He completely withdrew himself from society to the top of the hill where no one likes to go. When the kids tried to go to visit him, he would scare them away by yelling or throwing things at them. He was not really sad but more like hated everyone and everything. He would find joy in hurting other people or when he was alone with his dog in the garbage. No one really thought of him as depressed. They all just assumed that he was just an evil person and they pushed him away rather than helping the situation. His depression manifested over time and eventually took over every thought in his mind. Throughout all of this, he managed to still try and stay sane, but one Christmas caused he go over board and he finally snapped. In thesis number five, “The Monster Polices the Boarders of the Possible,” Cohen says that sometimes being curious about something can have negative consequences rather than positive ones. In the Grinch, the kids were always very curious about finding out what the Grinch was. When he was younger his school mates would try to find out what he was and making fun of how hairy he was and when he got older other children always wanted to know who this creature living on the hill was. They would always bother his peace and quiet and make jokes about it. They would invade his privacy and he hated all the Who people for that. Even after he tried to move away, the people would want to see his anger side. This relates directly with thesis six, “Fear of the Monster is Really a Kind of Desire.” The people always want the monster to scare them because they get a fulfilling feeling out of it. “We distrust and loathe the monster at the same time we envy its freedom, and perhaps it’s sublime despair,” (Cohen). Sometimes we make the monster in order to relieve ourselves from the chains of society. We use the monster sometimes to get a little feeling of rebellion or an adrenalin rush, nut when the monsters show its self without being pushed into it by the people, they begin to call it names and show it that he can only be seen as a monster no matter what. Through the eyes of children, the Grinch can seem like a monstrous guy, but after major analysis of his character and what he has been through, we can easily say that the Grinch himself was never the monster. It was the people around hum that were cruel and made him become like this. He also shows many signs of psychological issues that were never treated but rather made worse by the way he was treated and not accepted by society. So, can we really say that the Grinch is the monster, or is the people who decided it would be fun to create such a thing in the first place. He was simply acting the way they told he is already like. Howard, Ron, director. How the Grinch Stole Christmas (2000)–Electronic Press Kit. Imagine Entertainment, 2000. Seuss, Dr. How the Grinch Stole Christmas. HarperCollins Children’s Books, 2017. CBC. “The Grinch Diagnosed with Depression | CBC News.” CBCnews, CBC/Radio Canada, 24 Dec. 2009, http://www.cbc.ca/news/technology/the-grinch-diagnosed-with-depression-1.863512. Care, UNC Health, director. Psychoanalysis of the Grinch. YouTube, YouTube, 7 Dec. 2009, http://www.youtube.com/watch?v=DwBFqoq5uH8. Lack, Professor Caleb, director. The Grinch- A Case Study Antisocial Personality Disorder. YouTube, YouTube, 1 May 2012, www.youtube.com/watch?v=rEOmeLyFbrg&t=27s.